Football season is officially among us! We all root for our favorite teams throughout the regular season- hoping that they'll make it to the playoffs... and who knows- even the Superbowl??? Football season also comes with awesome finger food. 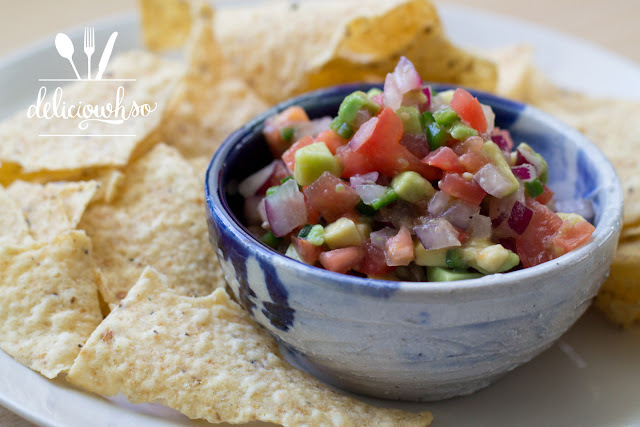 Chips and salsa will always be a classic gameday munchie. 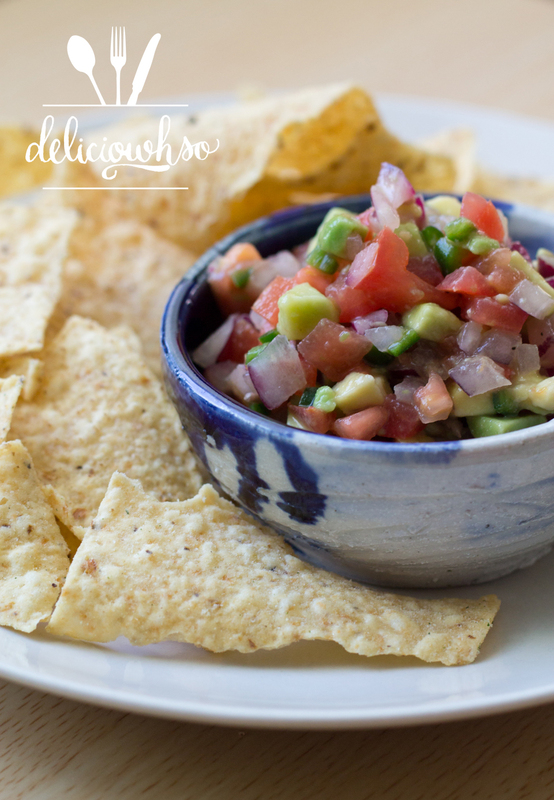 Take your salsa a notch up by making it yourself- it's a simple, delicious way to cheer on your team! 1. Small dice tomatoes, onion, and avocado. 2. Remove seeds from the jalapeno, and cut into very small pieces- think mincing! 3. Combine all of the cut veggies in a bowl, and add lime juice. 4. Mix well and add salt and pepper to taste. 6. Chill and serve with chips! 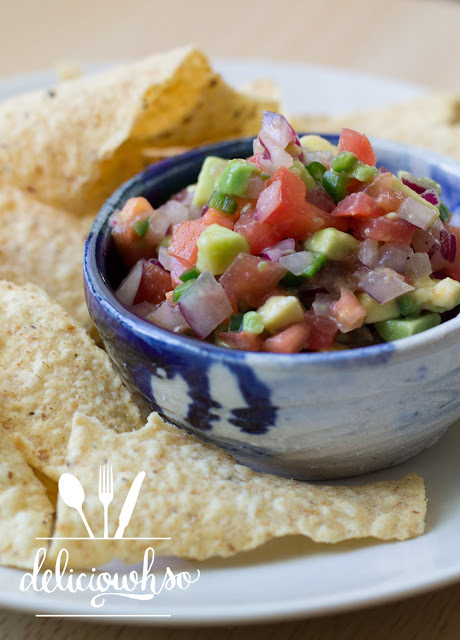 This is a recipe that is inspired by the pico that my mom makes. She loves cilantro, so she goes pretty heavy with it. I, however, am not a fan... so I decided to go without it. With or without, this pico de gallo packs a punch of flavor, and goes perfect with some lime-seasoned tortilla chips! It's a super easy recipe that doesn't take much time, but will definitely please the crowd!